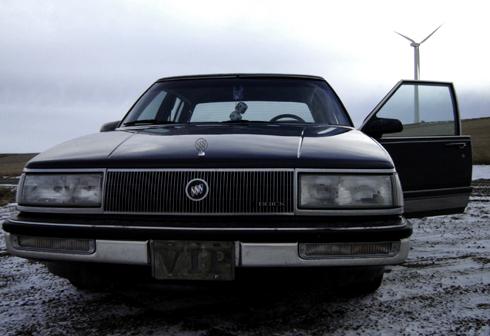 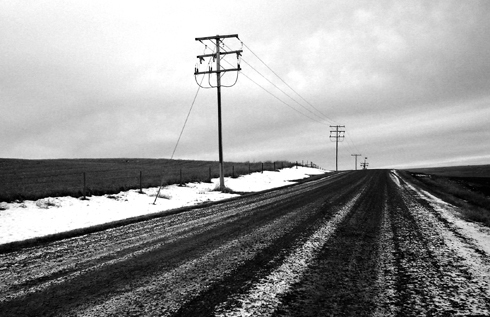 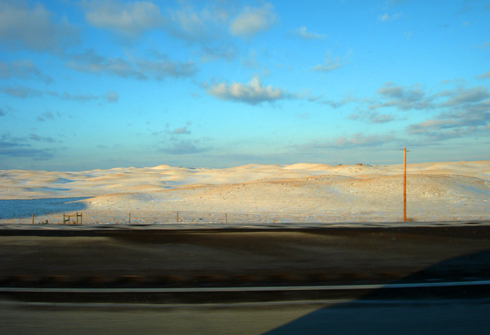 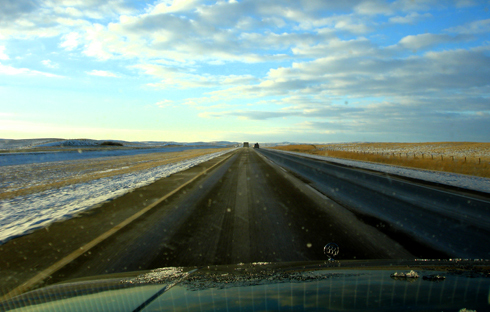 It was on a drive back to film school after Christmas in January 2006 that I stopped to take these pictures. 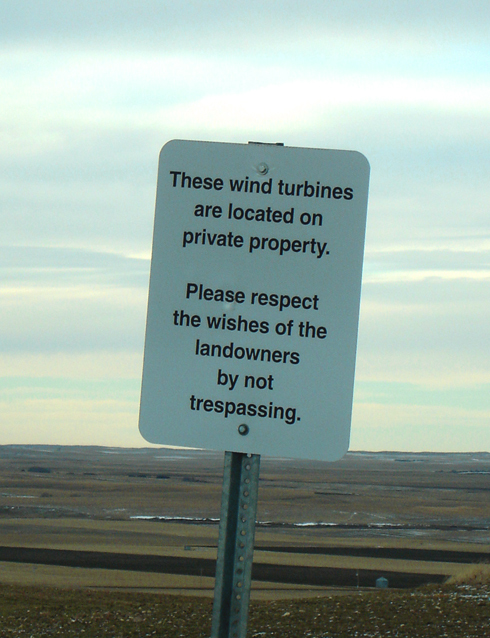 I must have driven by this wind farm near Swift Current, Saskatchewan about twenty times before, and I decided to take the brief detour off of the Trans Canada to check it out. 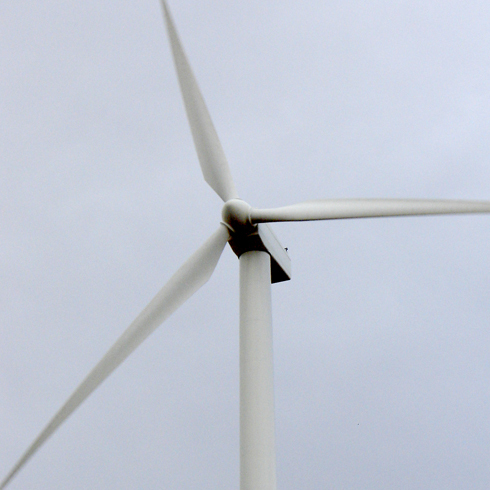 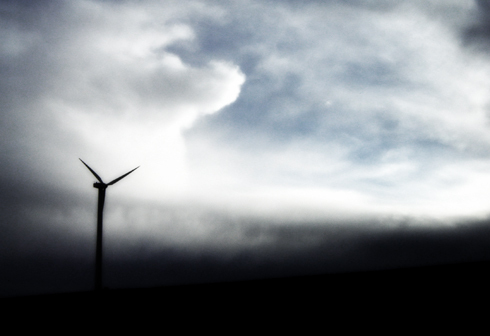 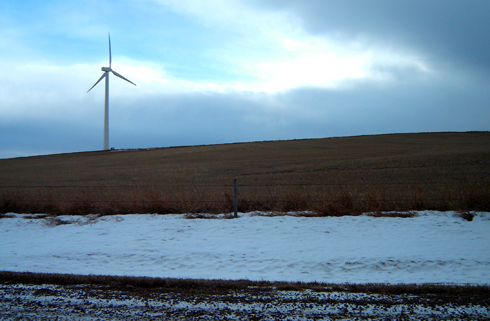 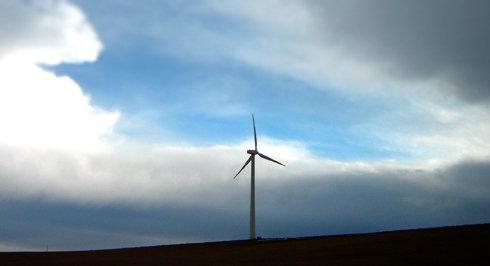 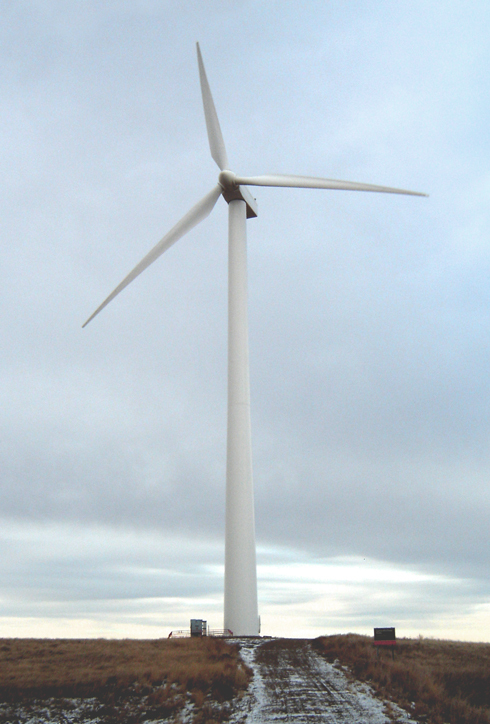 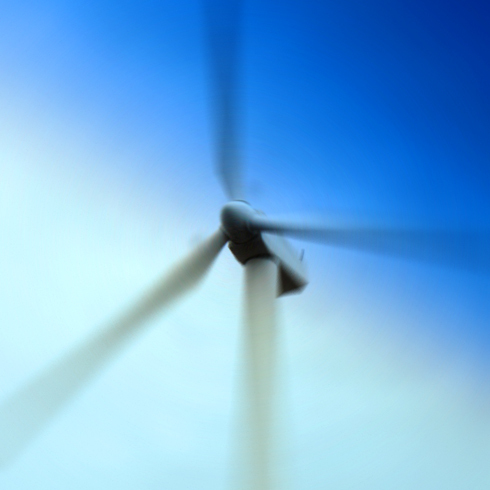 I remember it being particularly cold, but it was neat to finally see the turbines up close. 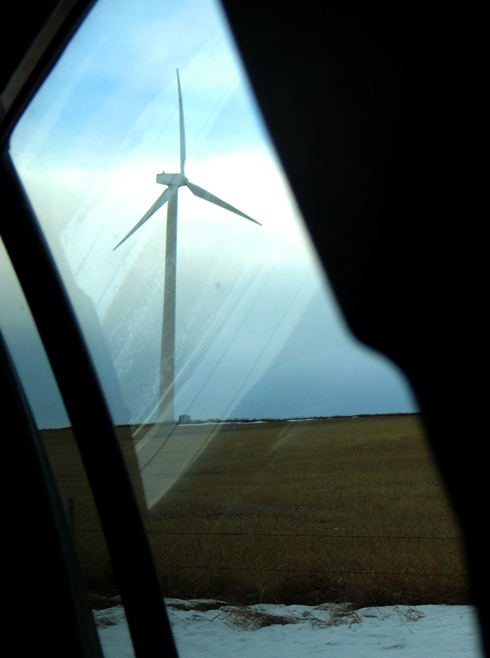 The giant blades made a pulsing whooshing noise as they rotated, and it was an impressive thing to see standing directly below them. 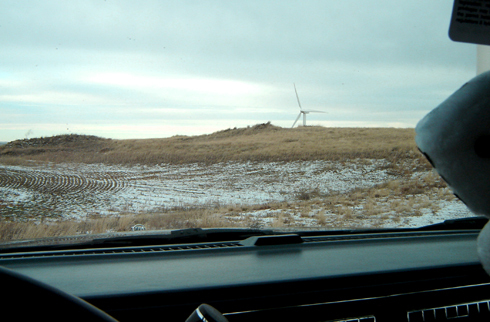 In what was otherwise just another bit of quiet prairie landscape, visiting that wind farm changed my view of that part of the drive after years of passing it from a distance.